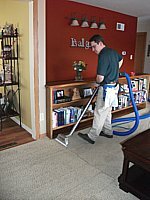 IICRC Certified Carpet Cleaning Companies, Does It Make A Difference? 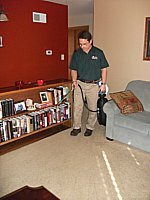 There are many thousand carpet cleaning companies in the United States. In most metropolitan areas there are between dozens and hundreds of carpet cleaning companies. Almost without exception they all claim to be the "best". How should you go about deciding who is the right choice for you? One factor in your decision should be whether the firm is IICRC (Institute of Inspection, Cleaning and Restoration Certification) certified and also whether the individual technicians performing work in your home are certified to do that work. We strongly support the IICRC and its mission; Pro Care Cleaning is a certified firm and I am am a master textile cleaner, holding over ten individual certifications. We will not perform work in your home that we have not been certified in! In my opinion, that should be your minimum expectation for a textile cleaner. 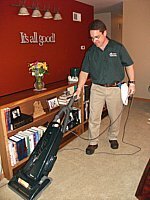 The Principles of Professional Carpet Cleaning come from section 7 of the IICRC S100 Standard and Reference Guide for Professional Carpet Cleaning. 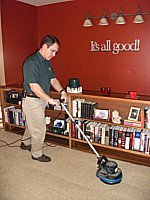 "The objective of carpet cleaning is soil removal. That objective can be achieved using any of a variety of cleaning methods. 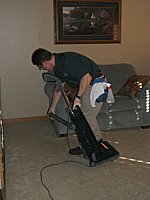 Before a cleaning method is selected, factors such as the carpet's type, use, condition, and soiling must be assessed. There are basic priciples of professional carpet cleaning which are common to all methods. These basic principles are defined in the following sub-sections." This is best accomplished using a high-filtration (HEPA) vacuum with edging tools on-board. Depending on many factors, this part of the job may take up forty five minutes or an hour if done well. The vast majority of carpet cleaning companies skip this step entirely! This step involves the suspension or separation of ground in soils not previously removed with vacuuming. There are four fundamentals of soil suspension: chemical action, heat, agitation, and time (dwell time). Once the soils have been suspended they must be extracted. Methods of extraction include absorption, wet vacuuming, rinsing, or dry vacuuming. Grooming the carpet aids in the uniform distribution of protectors or other post cleaning treatments. Drying the carpet after cleaning is of utmost importance. Six to eight hours is best, with dry times never to exceed twenty four hours. Drying should be expedited to the greatest extent possible. Click Here To Go From Carpet Cleaning Companies To Contact Us!